Economic immigration programs of Canada in 2018 are seeing a great response from its Provincial Nominee Program and more is expected in the coming months. Canadian provinces and territories participating in the Provincial Nominee Program (PNP) become eligible to nominate economic immigrants each for permanent residence. Some of the nominations form a part of ‘enhanced’ nominations as they allow provinces or territories to select candidates for federal system of Express Entry that takes care of three federal economic programs of immigration to Canada. A candidate nominated through Express Entry from any territory or province will receive 600 extra points so when we check the ranking score, they are guaranteed of an invitation to apply to become permanent residents of Canada. The other types of nominations are base nominations issued through the normal system through various PNP streams throughout Canada. The Canadian provinces and territories numbering 11 in all began 2018 with 34,700 combined allocations of nominations, which was an increase of 1,300 compared to 2017. In a similar fashion, PNP allocations are expected to go up again this year though there is no indication of the amount of rise expected. Increasing amount of admissions through PNP is a cause for the PNP growth in Canada. Principal applicants remain nominated and included in the admissions along with a family that accompanies them and they subsequently become permanent residents of Canada. Immigration, Refugees and Citizenship Canada (IRCC) submitted the 2018 report in the Parliament noting the exponential growth of PNP since its inception in 1996 where it has only 233 persons admitted in this program. The year 2017 saw the most admissions in a year through PNP but 2018 saw 4,000 more. The target multi-year plan of immigration levels of IRCC for new permanent residents is targeted at 55,000. This year, we will see PNP admissions grow again to additional 61,000 permanent residents and thereby reach 71,300 by 2021. The biggest individual allocation of PNP is for Ontario, the province with the most population in Canada at 6,600 which later rose to 6,850 by the year end. The OINP has requested the IRCC to increase its allocation by 7,600 and this could make the number this year a huge one. Through its three streams linked to Express Entry – French Speaking Skilled Worker Stream, Skilled Trades Stream, and the Human Capital Priorities Stream – Ontario has issued 6,978 invitations to candidates under Express Entry in 2018. These are the streams that permit Ontario Immigration Nominee Program (OINP) to go through an Express Entry Pool, check for, and call those that qualify under the provincial and federal criteria. The Express Entry candidates received 3,719 invitations through Human Capital Priorities Stream, 1,633 through French-Speaking Skilled Worker Stream, and 1,626 by Skilled Trades Stream. OINP has decided to change requirements for candidates under the Express Entry to have a minimum ranking score of 400 points for consideration to a nomination is one major change made in the Human Capital Priorities Stream, and this is sure to influence its working. In its latest move, OINP has announced rounds of future invitations will have a minimum score based on province priorities of economic development and needs of the labor market as determined by the program director. This move was obvious in the final three rounds of invitation in 2018 by Human Capital Priorities Stream for candidates having an offer for a job in a province where minimum CRS fell to a low of 350. While work experience or the job offer was not needed for eligibility through Human Capital Priorities Stream, OINP mentions that those that have it may get a priority classification. Do you want to know more about Provincial Nominee Programs of Canada? You can get updates on all news related to PNP by going through programs and filtering the search using Canada PNP Interactive Finder. The year 2018 saw another important development in PNP which will be seen throughout the year in the form of new streams linked to Express Entry in Nova Scotia, Manitoba, and Alberta provinces. 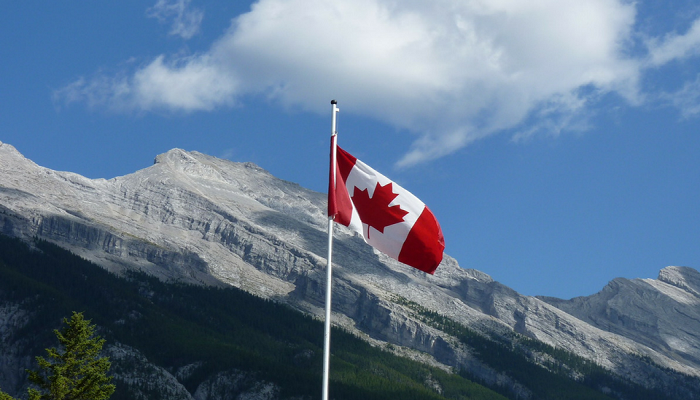 During their general overhaul of nominee programs of their provinces, Alberta and Manitoba brought forth their streams linked to Express Entry. The Labor Market Priorities Stream from Nova Scotia came into being in 2018 as the third PNP stream linked to Express Entry introduced in August in the Atlantic province of Canada. The Nova Scotia Nominee Program (NSNP) uses this stream to find out candidates in specific occupations that had shortages within this province. Candidates having eligible experience in work related to childhood assistance and education were issued 314 invitations through Express Entry and this remains the only one given by Labor Market Priority Stream. Due to changes in the labor market of the province, NSNP has announced that Labor Market Stream would be targeting new occupations shortly. Nova Scotia: Experience, Nova Scotia: Demand, and Labor Market Priorities Stream were three immigration streams linked to the federal system of Express Entry. In 2018, about 81 percent of applications approved by Nova Scotia Nominee Program (NSNP) came from these streams amounting to 1,095 out of 1,400. Similar to the original system of Express Entry, Manitoba has Expression of Interest (EOI) system under which candidates must first file a separate EOI profile under Manitoba Provincial Nominee Program. A specific number of highest ranking candidates will receive invitations to apply when a provincial nomination is open based on the ranking of the profiles created for eligible candidates according to the scores they get for proficiency in French or English, work experience, education, Manitoba connections, and many other factors. In 2018, seven draws were held from January 11 to July 9 and Express Entry invitations were sent to 1,155 candidates by the MPNP. CIC News asked for news of invitations given beyond that point but MPNP did not reply. In Alberta, Notifications of Interest (NOIs) were issued on July 6, one month after the unveiling of Alberta Express Entry Stream. Alberta Immigration Nominee Program searches for candidates in its Express Entry pool having a minimum CRS score of 300 in occupations needed for diversification and economic development of Alberta. Priority is given for candidates having Alberta work experience and/or relevant job offer, with a child, sibling, or parent living there, and/or a post-secondary degree at a Canadian institution. In all, at the finish of 2018, Alberta Express Entry System has 596 NOIs issued in seven draws to candidates under Express Entry. We find Saskatchewan province having draws every month because it opted for an EOI system in place of its Occupation In-Demand and International Skilled Worker Express Entry sub-categories. Saskatchewan issued 2,317 invitations for Occupation In-Demand candidates and 1,763 invitations for Express Entry sub-category in the period beginning August 21 and ending December 6 for the year 2018. As expected this created enough candidates for both streams and singled out human capital aspects that included work experience, proficiency in French or English, and education all of which showed the score and ranking of the candidate in a pool. The future financial success of the candidate will depend on these factors according to the Saskatchewan Immigrant Nominee Program (SINP). “A goal of the EOI system is to ensure strong economic outcomes and long-term retention in Saskatchewan for those invited to apply,” the SINP says. Express Entry prospects need to apply through a separately registered EOI profile at SINP if they had any interest in ISW of Saskatchewan. The EOI system of Atlantic Province of Prince Edward Island (PEI) got revamped in 2018. PEI invites EOIs from Express Entry candidates in the federal pool without a job offer in the province. Here, priority is given for those working and living in PEI. The Office of Immigration at PEI contacted candidates under Express Entry over the past couple of months who did not register any EOI as yet inside the province but seemed to match the needs of the labor market. Why Express Entry has increased the desirability of canada for PR? How Suitable are you for Canada PR in the year 2018? Canada immigration, Canada PR. permalink.